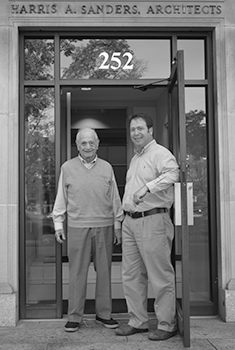 Welcome to Harris A. Sanders Architects, P.C. Harris A. Sanders, Architects, P.C. is an architecture planning, design, and construction administration firm that has been servicing the architecture needs of Albany, New York’s Capital Region clients for over 60 years. A full-service, end-to-end practice, we are recognized as the firm that balances design creativity, practical innovation and personal involvement in every project we undertake.